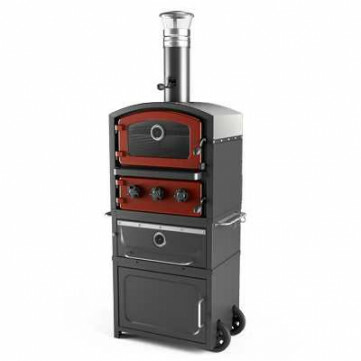 Welcome to the beautiful Fornetto Alto wood fired garden oven and smoker, complete with Warming Drawer and Log Store. You can create authentic pizzas, bread, roasted meats and a wonderful selection of baked dishes. Cast iron doors and solid steel construction give a traditional look coupled with modern ingenuity to ensure confident and safe cooking.